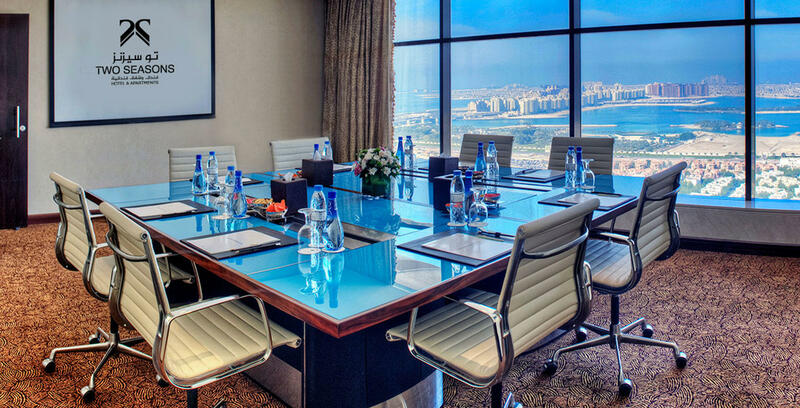 Please contact us if you require any further information on holding a business meeting, event or social occasion in Dubai. The Two Seasons Hotel and Apartments would be delighted to host you and your guests. We provide a spectacular setting in the heart of Dubai, whether you are planning a major conference or a sumptuous party or an intimate wedding reception. The light-filled rooms and beautiful modern decor provide the perfect venue to hold a truly memorable event. Submit your enquiry to find out more about the meetings and events facilities. Thank you for contacting Two Seasons Hotel.